“Democracy often doesn’t work as it is supposed to. Decisions can be made in the interest of political parties, for example, rather than for the good of the people,” says Marcin Gerwin, who explains how he has been promoting participatory democracy in Poland. 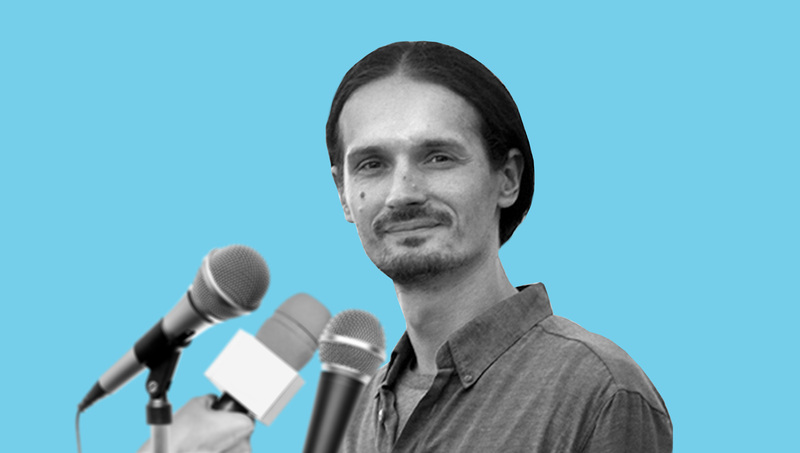 The starting point for Polish PhD graduate Marcin Gerwin’s work with participatory democracy was his interest in finding ways to put sustainability into practice. He says he realised that the obstacle is not the lack of ideas for sustainable development or not enough technical solutions, but, to a large extent, the decision-making process. Gerwin has contributed to making participatory budgeting a common practice in Poland, as well as to two citizens’ assemblies in the city of Gdańsk, where the decisions of the assemblies are binding. We asked how one puts into practice ambitious initiatives like these. Why did you want to start citizens’ assemblies in Poland? To create a well-functioning democratic process that makes sustainable development possible. A couple of years ago we started a local initiative in Sopot, where I live, with the aim of promoting participatory democracy and sustainability. Our main goal was to introduce participatory budgeting in Sopot and after a few years we succeeded. What turned out later on, however, is that participation without deliberation is not enough. The process of participatory budgeting in Sopot does not yet include a meaningful discussion about the direction or the priorities for the city’s development. I mean, certainly, it is a huge step forward to involve citizens in making decisions on budget spending, but the potential of democracy is much bigger. And that’s where the citizens’ assemblies come in – they provide a real deliberation, with input from experts, on any issue that is important for the city. People meet, they learn about the subject, they listen to all stakeholders and, in the end, they come up with decisions. Are citizens’ assemblies popular in Poland? So far, there have only been two citizens’ assemblies organised in Gdańsk, in the north of Poland, with binding decisions. However, there have been some earlier experiments with deliberative democracy in other cities. There was a major flood last year in Gdańsk. The city thought it was prepared for the extreme rainfall after some 15 years of investment in flood protection, but it wasn’t. I wrote an article about it and after a discussion on the internet the conclusion was that it would be useful to invite citizens to have a look at this issue. The risk was that the municipality would respond in the same way as they had before, which would not have resulted in sufficient improvements. So, I wrote an official email to the mayor of Gdańsk proposing a meeting to discuss the idea of organising a citizens’ assembly. We met in his office and he agreed. The important part was that the recommendations of the citizens’ assembly should have a binding effect. We expected this part may be hard. But the mayor agreed immediately at the first meeting. How did things progress afterwards? After the first citizens’ assembly in Gdańsk we organised a workshop for people who work for the local authorities and for members of NGOs to explain how the citizens’ assemblies work. There is quite a lot of interest in it, but so far only Gdańsk is organising them. Perhaps there will be a citizens’ assembly in Sopot as well someday, but it hasn’t happened yet. It can be combined very well with the participatory budgeting process. How do you market your assemblies and get people to come? Actually, it’s quite easy. You send official letters with a personal invitation by mail, with the signature of the mayor. You can add posters promoting the event and advertisements in the media, but the letters are the most important thing. One can apply to become a member of the citizens’ assembly only if he or she is selected by lot to receive the invitation. What is also helpful is that members of the citizens’ assembly receive a small fee, which covers the costs of participation in the assembly. I think that many people decide to become members of the citizens’ assembly because they want to take part in something meaningful, they want to contribute to the betterment of life in the city. They may also be personally interested in the issue. However, one person did say that he decided to take part when he read that lunch would be served. This is a very different picture of democracy in Poland to the one we hear about in the news. How do you see these assemblies affecting the democratic culture? There has been a group of people promoting participatory democracy in Poland, particularly in the last couple of years. After the introduction of participatory budgeting in Sopot it spread very quickly and now we have it in more than 200 towns and cities in Poland. So, it has become something normal. It would even seem strange not to have participatory budgeting in your city. It’s different at the national level though. Some people in the Law and Justice party, which currently has a majority in the Polish Parliament, were afraid that the Constitutional Court would try to block their policies, so they blocked the court instead. There are many controversial decisions made by the government, like changes to education, but still it’s at the national level. At the level of individual cities it’s different. Do you have further plans for assemblies? Could they be applied at the national level? Yes, the mayor of Gdańsk would like to organise a couple of them even this year. We have already had a second citizens’ assembly on improving air quality and one of the proposed subjects was climate change. I would like to promote further citizens’ assemblies in Poland and in other places around the world. Sure, they fit very well at the national level; they are organised in Ireland for instance. And in Poland we have just written to the president suggesting that a citizens’ assembly on constitutional issues would be a better option than the referendum he wants to initiate. What advice would you give to someone who is planning a citizens’ assembly or similar? For me the main inspiration was the work of the newDemocracy Foundation in Australia. I read their reports and, based upon their experience, we designed the process for citizens’ assemblies in Poland. So, it may be a good first step to read about their work. You can also contact me to talk about how we do it in Poland. If you would like to organise a citizens’ assembly in your city, a good idea is to have a workshop to present in more detail the idea of citizens’ assemblies, so that the mayor or the city or town council can become more familiar with the approach and feel more confident about organising the first one.